There are not many musicians who could make it to the list of 'Rock and Roll Hall of Fame', and for someone with a track record of only eight (8) months in the music industry, it could be a mammoth task. Richard Steven Valenzuela or popularly Ritchie Valens was the first Hispanic rock star who could create a record like that. Born in May 1941, in Pacoima, LA, Ritchie started his career at the age of sixteen with a band named 'The Silhouettes' as a guitarist. He was a left handed, but mastered the art of a right handed guitarist. He was known as one of the pioneers of 'Rock and Roll', 'Chicano rock movement' and 'Latin rock'. 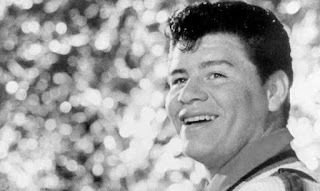 Ritchie received worldwide fame with his version of a Mexican folk song called 'La Bamba' released in 1958. The song, infused the traditional Mexican tune with a rock drive, ranked number 98 in VH1's 100 Greatest Songs of Rock and Roll and number 345 on Rolling Stone magazine′s list of the 500 Greatest Songs of All Time. This is the only non-English song to be listed. In 1958, Ritchie was introduced to Bob Keane, the owner and President of Del-Fi Records, who recorded few of the famous numbers of Ritchie like 'Donna', 'Framed' and 'Come On, Let's Go' in the Gold Star Studios in Hollywood. 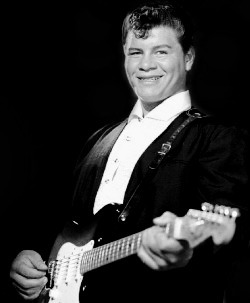 Ritchie has three albums all together - Ritchie Valens (1959), Ritchie (1959) and In Concert at Pacoima Jr. High (1960). Ritchie was still in his teens at the time of his demise caused by a plane crash. He was on a plane on February 2, 1959, after his performance in Clear Lake, Iowa, which crashed shortly after takeoff in a snow storm. For someone who could have adorned the throne of fame and success in the realm of music, Ritchie's death was tragic and untimely. His contribution to music though limited by his short lifetime, is remarkable and defining. Today we remember his death as 'The Day the Music Died'. A good and dancing song..a good singer,a young mexican and american singer who died too young! !Sad.He died in a plane crash as he always feared flying..Poor young man and Rip Ritchie valens and peace to his family..He seemed older on the picture than his real age,though,for a 17 year old guy he looked like to be 20 at least..Maybe it was his destiny..